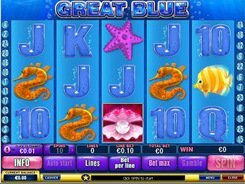 Great Blue is yet another awesome slot machine from Playtech crafted with 5 reels and 25 paylines. You can bet a maximum of 10 coins per line and change a coin size from the $0.01 bottom to $5. The top stake is a magnificent $1250. 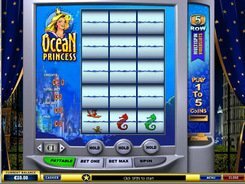 Alongside underwater-themed regular symbols, the Great Blue slot has two special icons of the oyster shell and the whale. The latter is the wild card having some prize-generating features. Five whales landed on an enabled line make up the best paying combo that awards you $10,000! In addition, the wild replaces other icons to form winning combinations. 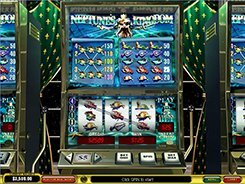 Three pearls scattered in any position of the reels yield 33 free spins with all your winnings multiplied by x15. 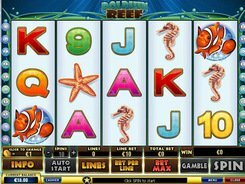 Three or more pearls retrigger the free spins round giving 15 free games. The Gamble feature is an option available after each beneficial spin. 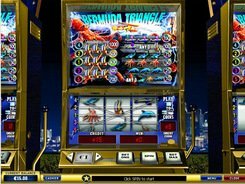 Risk takers may opt to start it and win the mini-game with a 50/50 chance. In case of a failure, you will lose your base game win. But if you guess the color of the card right, your win will be doubled, and beyond. PLAY FOR REAL MONEY!